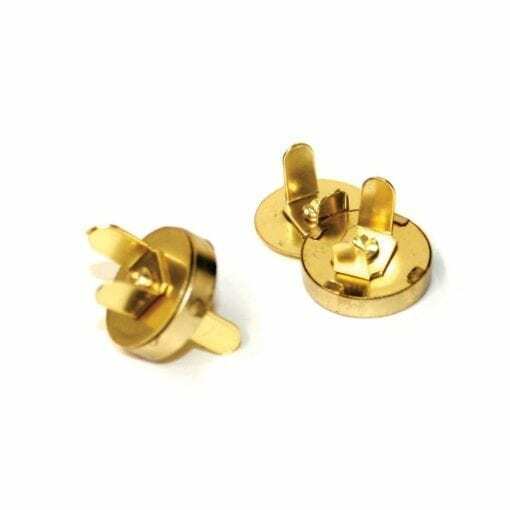 Our 14mm x 3.5mm Gold Magnetic Bag Clasp has a diameter of 14mm and a thickness of 3.5mm. One piece of the clasp contains an N45 Grade, Neodymium magnet and the other a small piece contains a steel plate. The clasp is a metallic gold colour with the magnet being axially magnetised (Through the thickness).